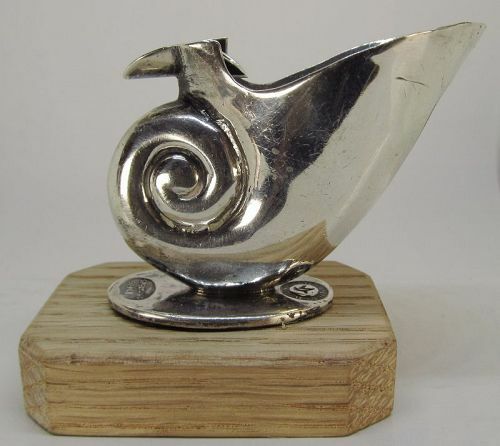 This fully hallmarked stylish William Spratling sterling silver shell shaped ashtray from the 1940-s is mounted on a hardwood base. The silver shell measures 2” wide and 1 ¾’ high. This is a great sterling silver repousse letter opener by the prominent Baltimore silver smiths Kirk and son. The 5 7/8” long sterling letter opener is vermeil (gold plated) and not counting some minor scratches is in very good condition. The letter opener is hallmarked Kirk & Son and Sterling. 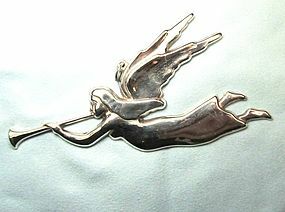 The angel with the trumpet sterling silver Christmas ornament is marked in the back and was made by the Gorham silver company in 1974. It is also marked American Heritage Society. The length of the ornament is 4 ¾” and the height is 2 ½". 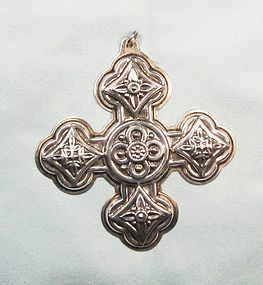 This classic sterling silver Christmas ornament is from 1971, made by Reed and Barton. The ornament is 3 3/8” high and 3 1/8” wide. 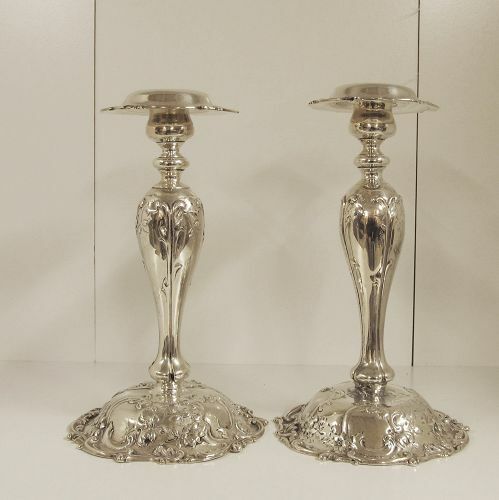 This is a rare pair of sterling silver candlesticks made by the esteemed Mauser silver manufacturing company of New York, New York between 1887 and 1903. The candlesticks are 8" tall and the base measures 4 1/2" in diameter. The stem is weighted, and the bottom is fully hallmarked. One of the candlesticks was repaired at the bottom of the stem just above the base. There is an Old English letter engraved on top of the base, your guess is as good as mine as to what letter it could be. 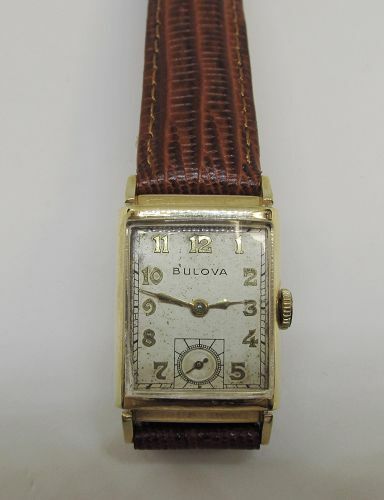 This vintage tank watch by BULOVA is circa 1960. The case is made of 14Kt yellow gold. The face the back the stem and the 21 jewel movement are all marked Bulova. The watch is in working order and would make en elegant addition to any wardrobe or collection.